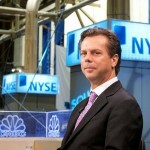 Keith Neumeyer: No Price Discovery In Silver - Wall St. for Main St.Wall St. for Main St.
Jason Burack of Wall St for Main St had on returning guest, President and CEO of First Majestic Silver http://www.firstmajestic.com/s/Home.asp, Keith Neumeyer to discuss the silver market, silver miner’s production costs and his companies. During this 20+ minute interview, Jason asks Keith about the supply/demand fundamentals of silver, whether they have changed drastically in the last few years, about the production costs of silver miners worldwide, and how hard it is for the industry and for his mining company to cut costs. Keith also tells Jason about his new company, First Mining Finance Corp, which recently went IPO.